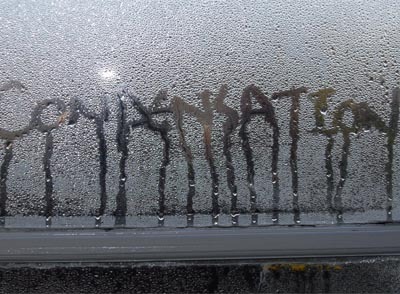 As condensation season progresses and the air within indoor spaces becomes laden with excess water vapour, property owners are beginning to notice the telltale signs of damp. The first sign of a problem is usually on cool walls and windows, where water vapour condenses and gathers. Damp patches on walls provide the perfect environment for colonies of mould to form, which are unsightly and can lead to serious health implications for occupants of the affected building. There are many ways to reduce condensation in the home, one of which is to use a dehumidifier. These appliances reduce the amount of water vapour in the air, lowering the risk of mould and mildew whilst making the atmosphere more pleasant to be in. Lower humidity also helps to control pest populations, including fleas, woodlice, dust mites and cockroaches. The Twistfix Domestic Dehumidifier is designed for use in properties of up to five bedrooms in size. Each unit is capable of extracting a full eight litres of water from the air every single day, dramatically inhibiting the formation of condensation and the subsequent problems caused. A simple and intuitive control panel makes the unit, which also provides continuous draining of condensate, easy to use and needful of little maintenance. 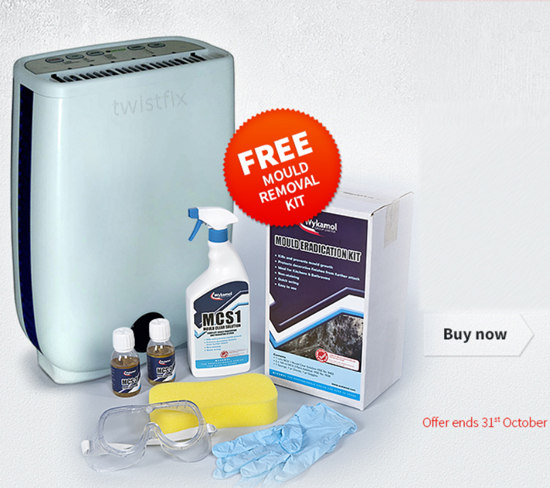 Throughout October, Twistfix are offering a professional mould removal kit absolutely free with every purchase of our domestic dehumi­difiers. The kit contains everything required to easily combat mould on walls, providing a safe, simple and lasting treatment to remove unsightly and unhealthy mould. Biocide spray and fungicidal additive comprise the core of the kit, which also includes an applicator sponge and protective gloves and goggles. The offer of a free mould removal kit with each domestic dehumidifier purchased is only valid until 31st October 2013. For further information on these products, please contact us on 0845 123 6006 or email sales@twistfix.co.uk.